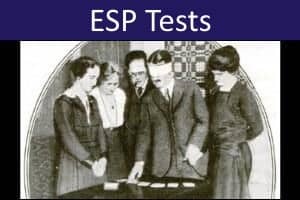 ESP Trainer allows you to conduct trials of two-person telepathy. It can also be used for solo trials of clairvoyance. The trainer uses an engaging method using sets of photographs. 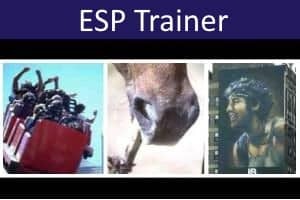 In this 'free response' protocol, no information about the possible ESP target is given in advance and you have to freely form ideas, images or other impressions that might correspond to the target photograph. This contrasts with the 'forced choice' protocol of the ESP Card Tests in which the possible targets are already known prior to guessing. 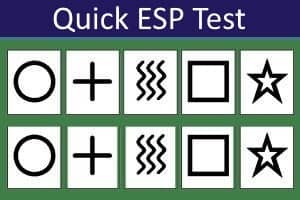 Practice and test your clairvoyance and telepathy! The ESP target which you try to guess is randomly selected by the computer from a pool of 400 FULL COLOR PHOTOGRAPHS stored on our server (100 sets of four photos are used). The photographs vary considerably in content. All photographs are suitable for viewing by a general audience and none is likely to cause upset or offence. You may select either Solo Clairvoyance, or Two-Person Telepathy. In the Solo Clairvoyance procedure, the computer will randomly select a set of four possible targets. One of these is then randomly selected to be the target which you will aim to guess. The computer will 'transmit' this photo (holding it in its memory) while you try to form impressions that might relate to the image. In the Two-Person Telepathy procedure, one person acts as Sender while the other is the Receiver. The computer again randomly selects a set of four possible targets. One of the images from the set is then randomly selected and is shown to the Sender who tries to transmit information about the image telepathically to the Receiver. For both test procedures, you should choose a fixed time period for transmission (although you may cancel the transmission at any time). In the Two-Person Telepathy procedure, the Sender may wish to draw, write down things, or speak about things that relate to the photo during transmission. Of course, it is important that the Receiver cannot see or hear what the Sender is doing. During transmission (both procedures), the Receiver should attempt to pick up any impressions about the target photograph. Generally the Receiver should be relaxed and should allow impressions and images to come into the mind without too much conscious thought. He or she may wish to make notes or drawings during transmission (or afterwards). Alternatively, the Receiver could speak impressions out loud, which may be recorded. 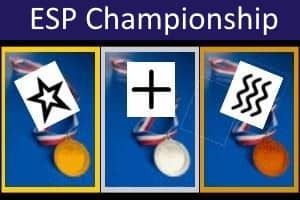 When time is up, the computer will display FOUR possible photographs (in random positions), one of which will be the actual target. The other three are 'decoys' from the set of four photos that was originally selected. The Receiver should then compare EACH photograph with the impressions formed, before placing the four photographs in rank order, based on how closely each picture seems to match the impressions. 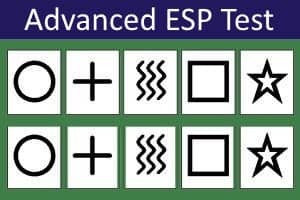 In the Two-Person Telepathy procedure, it is important that the Sender and Receiver do not communicate in any way until the scoring is completed (to avoid any clues being given to the Receiver). When the scoring is completed, the computer will show the actual target photograph. A hit is recorded when the actual target was ranked as First Choice. You should record the rank position given to the actual target on each trial (i.e., 1, 2, 3, or 4). When you have completed all your trials (at least 10), add up these rank positions for all trials. The resulting value is called the 'Sum of Ranks'. You can then examine the Sum of Ranks for statistical significance with our Ranked Data Psi Test Statistical Calculator.